Welcome to Glasshat’s SEO Marketing Toolkit for small business owners. We've collected and curated the best resources, tips, tools and guides from around the web to help you get stuck into successfully promoting your small business online. So if you're looking for marketing inspiration or just want to be pointed in the right direction, you can easily find what you're looking for. We’re constantly adding to and updating this board so don’t forget to check back, or if you have any feedback on resources or tools you think are missing then we’d love to hear from you! 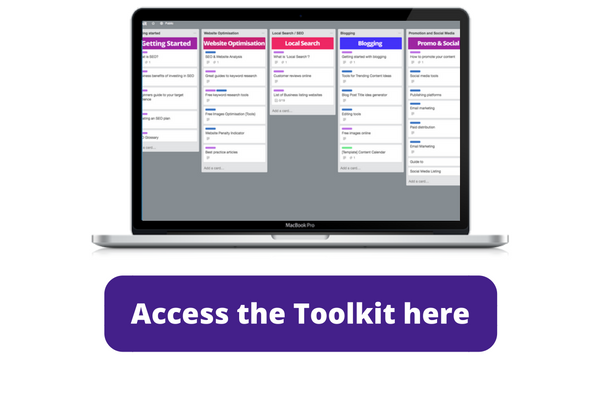 What will I find in the online marketing toolkit? Small businesses have a lot to benefit from SEO. It’s a great way to drive new customers to your website via the search engines. What are the business benefits of investing in SEO? Making sure that Google can find, access and understand what your website about is essential to the success of your small business marketing strategy. Learn why local search is so important for small business and how you can improve your appearance in the local search results. What is local search or local seo? Why do online customer reviews matter? Access tips and tools that can help you blog like a pro. Learn why a blog is key to your online marketing strategy and learn how you to create content that engages your customers online. You might already have a business facebook page, but are you really making the most of it and where else should you be online? Track and report back to your business on how your online marketing strategy is performing by learning how to get the most out of Google Analytics.